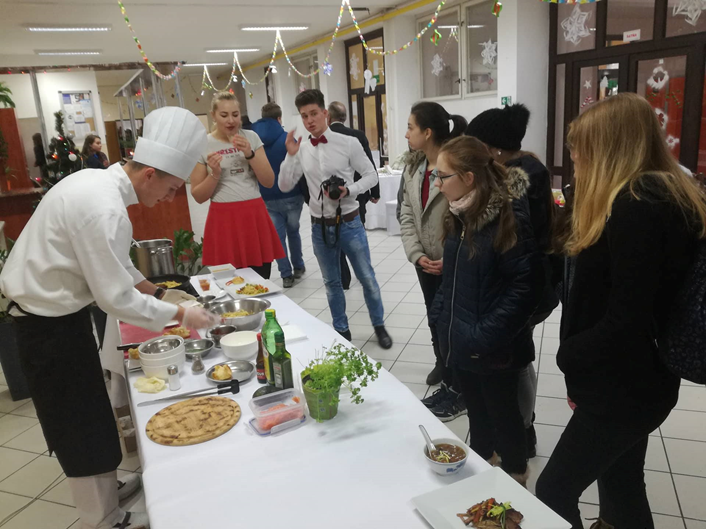 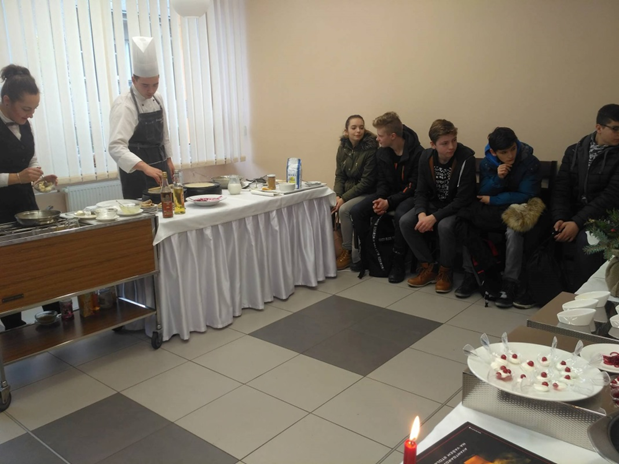 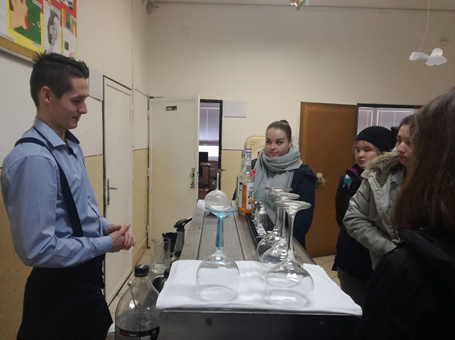 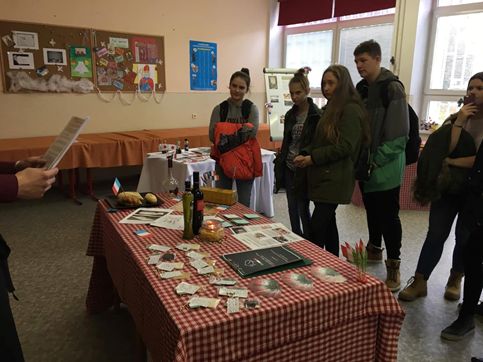 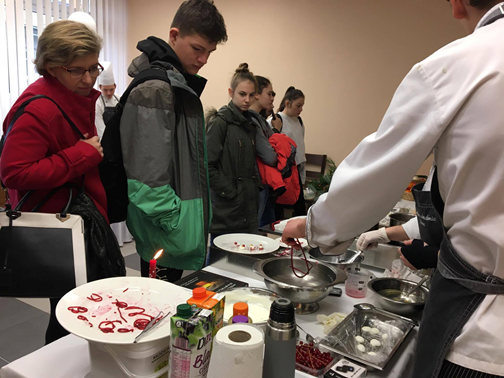 On 7th of December, there was the day when we opened the doors of our school (Hotel Academy, Hlinská 31, Žilina) for pupils and young students who are interesting in gastronomy and want to or think of studying at this kind of education. Pupils from the Basic School, Gaštanova were taking part in the ocassion, too. 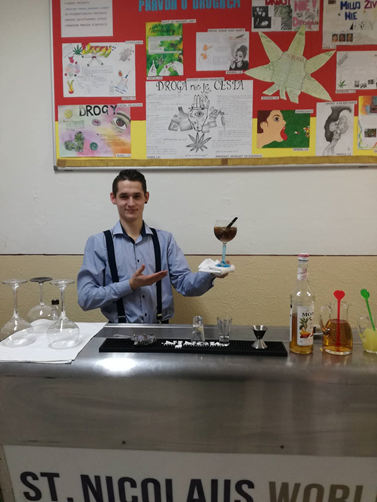 Our school, as a member of the ERASMUS+ project „Sharing the world together“, has invited the teachers and pupils of this school to be in formed about it.They also could impress their attitudes and proposals to some questions connected to tolerance, human rights, sharing daily situations with handycap young people and experiences in this field of disability and displacement by fulfilling questions.